Based on a conceptual design with defined requirements, a preliminary 3D design is made to analyse needs. The 3D design is always made with a focus on manufacturing processes, so how to manufacture the component is considered from the very first moment. 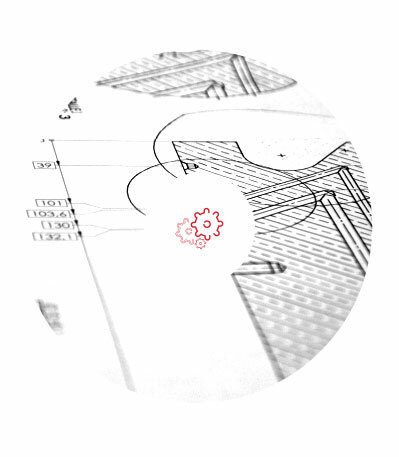 The 3D design is used to make preliminary manufacturing blueprints with the requirements, and tolerances are verified with possible suppliers for the component, so we can finally make real manufacturing blueprints. We have a vast portfolio of machining suppliers (special materials, precision machining, large machining), supporting engineering firms, commercial component suppliers, etc. All revolving around facilities to ease an ongoing exchange of information. 3D design (Catia, Solid Works). 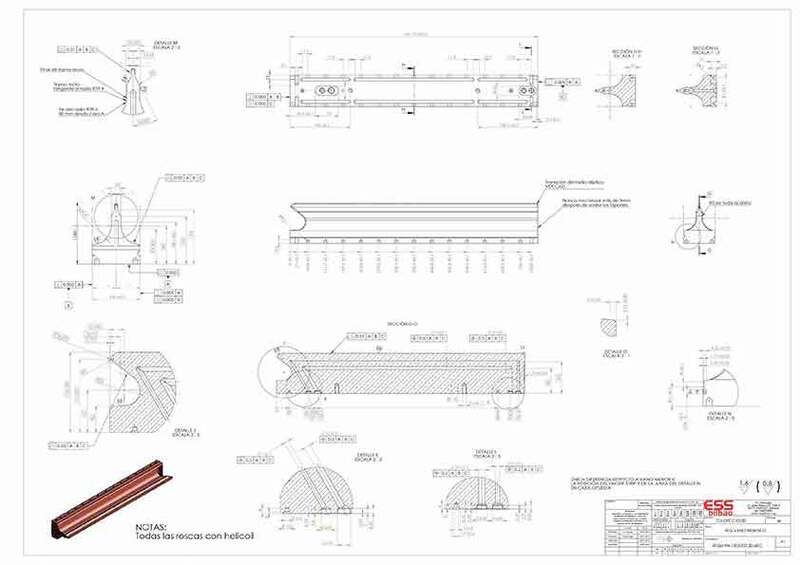 Conceptual and manufacturing 2D blueprints. Manufacturer search and process monitoring.